Any department that wants to track/deliver training to their members. Most departments use a mix of email, YouTube, Dropbox, and 3-ring binders full of paper... Rescue Hub replaces all of these. 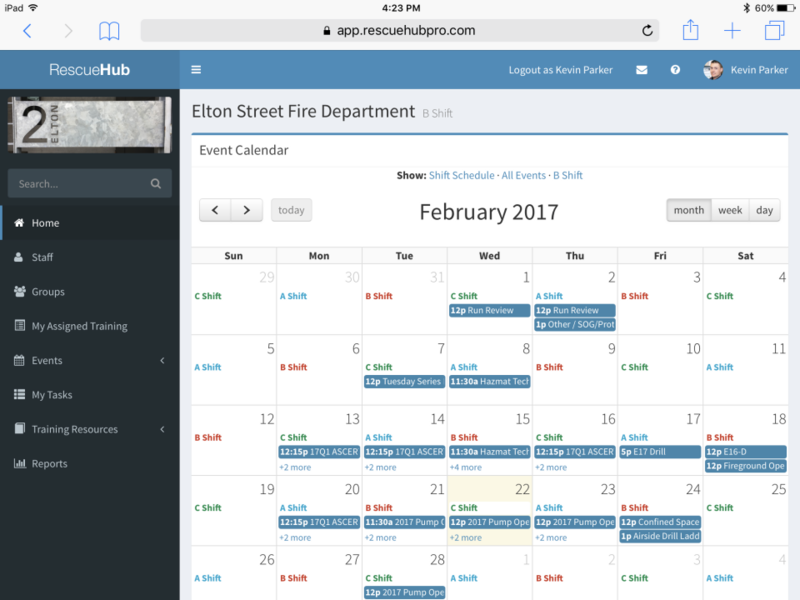 Rescue Hub is an online software platform for delivering & tracking Fire/EMS training. 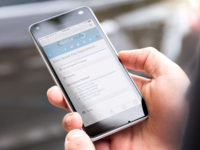 Put all of your paper rosters, skill verification sheets, and training documents on your own private training site, accessible to your personnel with a smart phone or tablet. 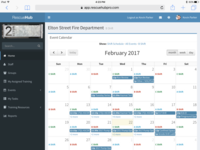 Rescue Hub gives you the tools to assign & schedule training, track progress towards meeting training requirements, manage task books, create your own online training, and host your own training videos, all in one place. Rescue Hub Reviews Recently Reviewed! Rescue Hub has helped our department better track and organize training records. Pros: Rescue Hub comes with great customer support/service. We receive quick feedback and responses from Rescue Hub. We have been able to customize our page based on our needs. RescueHub is a very user-friendly system for users. 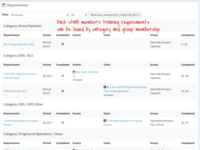 It allows for employees to quickly view what training has been assigned to them, what training has been completed, and what training still needs to be completed. 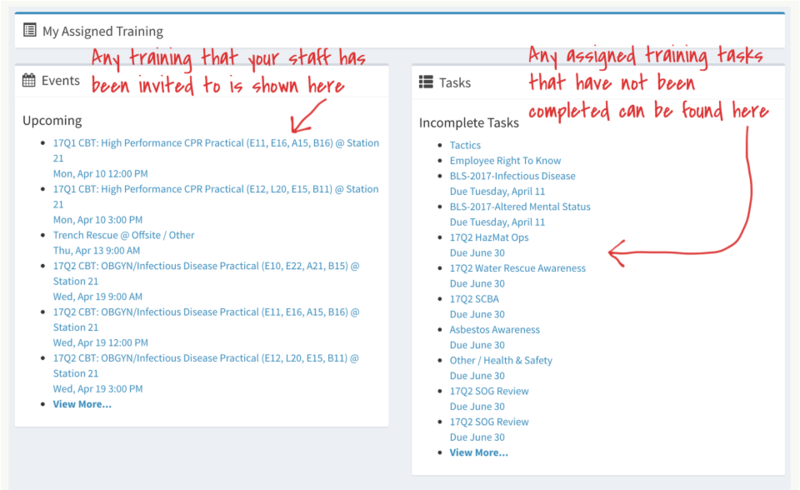 It also allows for Training Officers and Supervisors to view what training is completed/incomplete by running a report on their training status. 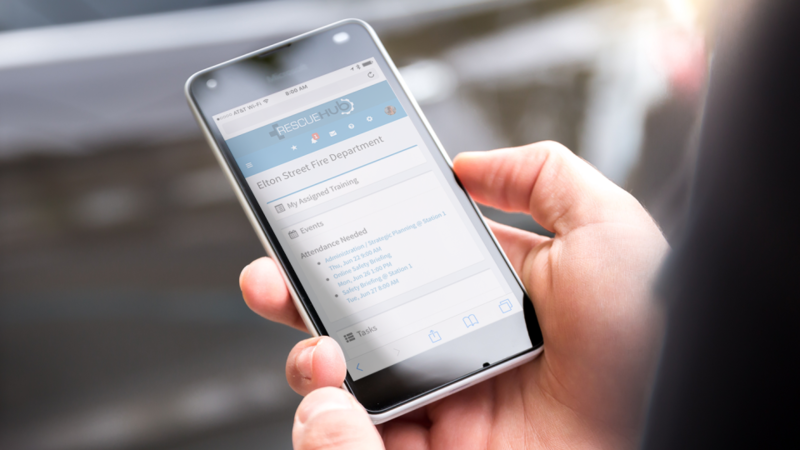 From an administrative view, the overall functionality of adding built content to RescueHub for required training and assigning quarterly and annual tasks to firefighters is very straightforward. This includes adding videos, quizzes, PowerPoints, links to other websites, etc. The calendar is easy to read. It has become a daily tool utilized by the BCs/Captains to view what training is scheduled or any upcoming training. Attendance can be taken while a drill is occurring and people are showing up for drill and can be used from a smart phone. Overall: Rescue Hub has allowed our department to keep better track of required training, reduce paperwork related to training, and has allowed us to upload and assign training to employees. It allows our employees to go to one location for training, Rescue Hub! By far the best training records and delivery system I have worked with. Pros: Rescue Hub is very easy for firefighters to use. They login and all of their training requirements are listed. Once completed they self certify that the training is complete and it gets recorded. As a Training Officer I could login in and quickly check anyone's training records for completion. Additionally, I could quickly make training requirements and post training events. The calendar provides schedules, times, and locations for training events across our entire department. Rescue Hub has become an essential resource for training delivery in our department. Cust support provides immediate support for his product and it is extremely customizable. Cons: Do date I do not have any issues with Rescue Hub. Most of the issues that we have experienced were related to difficulties with individual logins and getting people to participate daily. Rescue Hub has changed how we deliver training in our department so it has taken time for that adjustment. Any issues that we have had with the product have been fixed immediately and in most cases were more related to changes that we made as we developed the program. Pros: Central location for training scheduling, documentation, and reference materials. 2) you can click on a requirement/class/event/task and when it opens it does not show me when I completed this class. That would be a nice feature. I know I can pull a training report, but frequently I will get asked about when I did a class and it would be nice to access that information directly from that page. Overall: Good. I have recommended it to friend at another department to look into. He works at a police department, so I am not sure if Rescue Hub is an option for his department, but I think it would be a good fit. Contact me if you would like to know the department contact info. Pros: Top pros include ease of getting training requirements from our training division to our members and the ability to track all entered training. In addition having one central place for storing training documentation is very helpful. The ability to have additional links to supplement the required training is also a great benefit. Cons: Oftentimes the behind the scenes management of the product is a bit misunderstood. As I complete a training event and cannot self certify it will sit unchecked for some time and I don't know who is responsible for verifying my completion. Overall: Overall the product has been very helpful in streamlining and tracking our training. I have had very few issues directly with the user end of the software that could not be easily solved. Pros: This system makes it easy to log all of my training without having to look up codes or find external data for entry. If the instructor needs to enter the training it is easily done and if I need to it is just as easy. All of my information is available on the individual training entry so I know what I need to do to complete the training. Cons: Making certain that the training I am viewing applies to me. Overall: This system makes it very easy to keep track of not only my own training but my crews as well. No surprises at the end of the quarter. Rescue Hub is a necessity!!! Pros: Easy to track training. Simple to use. Easy to learn. Cons: Difficult to access missed, or overdue training's. Occasional "rabbit holes" when going from requirement, to task. Overall: This program has done a great job making it simple to identify upcoming required trainings. A quick snapshot of the calendar makes it easy to see who is on the schedule for trainings. The access to training files, and course documents is excellent. Pros: I liked how it was very simple to use for whatever task I had. It kept track of all of the training that I had to do, let me know if I different training coming up, shift schedule, and it had all of the necessary resources I need to complete my task book for my job. The website is very simple to use and not a lot of websites are that easy to navigate around. Great tool to have while at work! Cons: I don't have any criticism towards the site, it met all of my expectations. 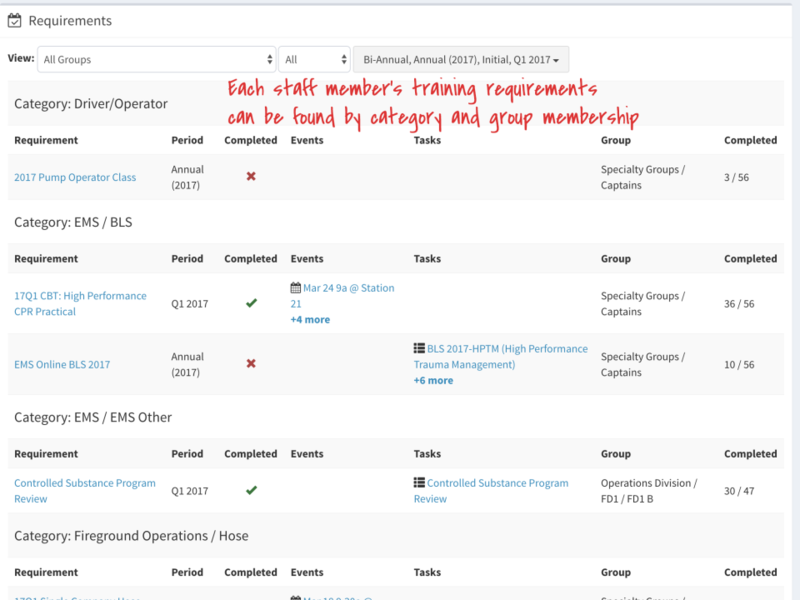 Pros: Provides a platform to post training and also to track the training which is very valuable for managers that need to know which personnel are completed. Cons: Down time between clicks can be excessive. Overall: Overall this product has helped to streamline training and tracking in a nice package that relatively intuitive and robust. Simple to use, flexible to the needs, excellent customer service! 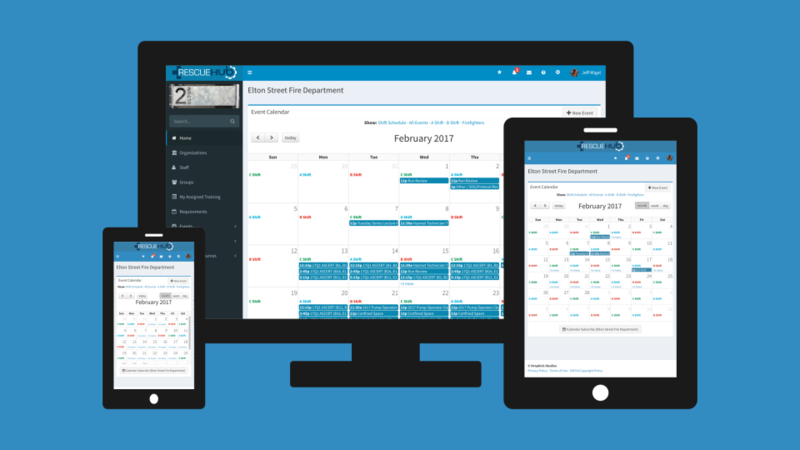 Pros: What I love about RescueHub is the developer's passion to service our department specific needs. "No" was never really an answer, Customer service agent would find ways to make things work for us. Cons: RescueHub has few if any flaws. Hyperlinking to a new to "tab" would increase efficiencies on the users end. Overall: Massive benefits to include but are not limited to; increased efficiency, video technology, enhance tracking, electronic training file storage. Ruscue Hub keeps our department organized! 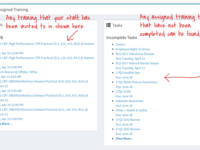 Pros: Keeps all our training and classes in one centralized place and tracks completion of our assigned tasks! Cons: Nothing, overall this software is hugely helpful! Pros: The program keeps track of my training per quarter. I know what needs to be done for what month and it tracks it when I have completed the training. The design is easy to use. All I do is put the mouse icon on the training that I need to do, being a power point, a video or an on-line website it the item I want and it takes me to my training. Cons: I have not encountered anything thing that I least like about the software. Pros: It has made it easy to complete task books and evaluations. Tracking my crews progress on competing our training is easy too. Pros: I don't have much of a tech background, I really appreciate how easy this product is to use. I don't have to spend any time trying to figure it out and can instead spent the time training. Cons: The only con is that it requires a password I regularly forget. 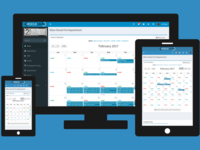 Overall: It's a great way to see what training is due at a glance. Pros: Easy to navigate and find your daily training. Cons: Can't add crew member to training if they already did it with another crew. Should be able to document who was present regardless of requirement. Would be great to document paramedic certification check offs. Overall: great program, support team! now help me get my captain back on shift! Pros: I am still learning the software and the navigation of the program, but thus far, it has been a great "one stop" resource for training, certifications, evaluations, documentation, public education, and calendar organization. It allows me to review what is going on for the day or week, but also gives me the ability to plan months ahead and stay organized. Cons: I have yet to find any major flaws and/or things I dislike about Rescue Hub. If I have any recommendations and/or ideas, I will be sure to advise the correct personnel of my thoughts. Pros: How it can incorporate a broad depth of information for our department. It is also a great way to track my training and certifications.